Firstly, lets talk about all the specifications and the science gadgets that have been included in this hairdryer. This is a super lightweight hairdryer and it does not feel heavy like others that I have had in the past. In fact, this hairdryer only weighs just over 650g! 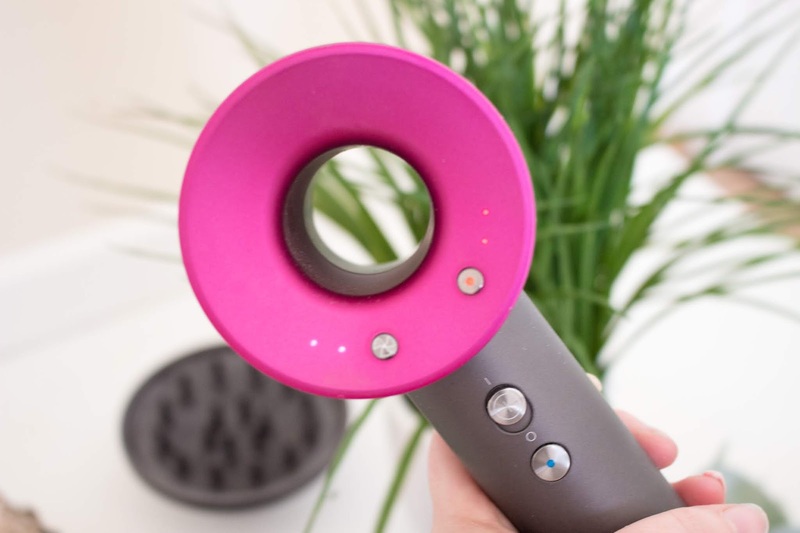 It is so easy to hold and you don't feel your arm starting to ache because you have been holding a heavy hairdryer for a long time (and usually you sometimes have to hold a hairdryer in an awkward position, but that is not the case with this hairdryer)! There is also an extremely long cable attached to this hairdryer, measuring around 2.7 metres in length. Making this the perfect hairdryer if you don't happen to have a plug socket near a mirror. I am able to dry my hair in any part of the house because the cable is so long. This hairdryer also comes in multiple colour variations; the two main colours always available are white/silver and iron/fuchsia. There are also some limited edition shades and currently QVC has a nickel/purple colour option that is only exclusive to them. I have the pink version as I really liked the colour combination and thought it looked amazing on my dressing table. However, all the colour options are beautiful and just make the hairdryer look really sleek and luxurious. 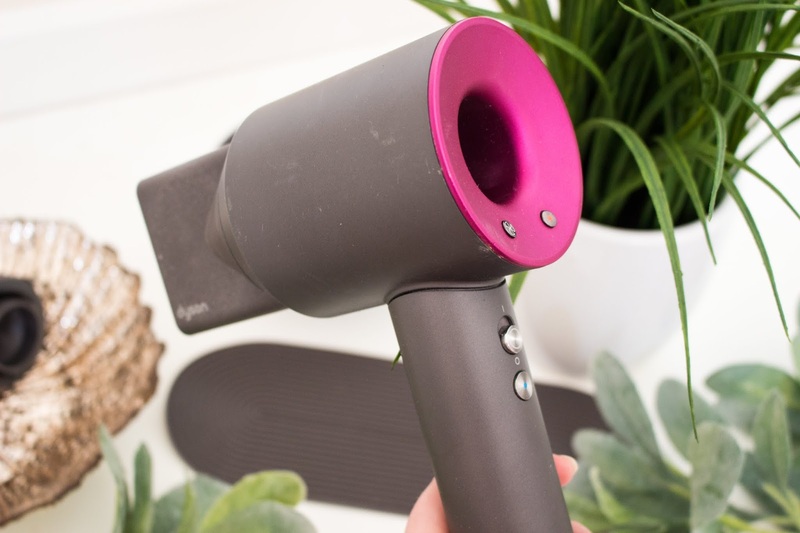 This hairdryer is so clever - and you are probably wondering how, which means I am now going to be writing a lot of scientific specifications that have been used to make this one of the best hairdryers I have ever used. One of the things that I love the most about this dryer is the fact that it is constantly measuring the air temperature while you are drying your hair; to be precise it is measuring the temperature every 20 seconds to make sure it remains at the correct temperature as well as to control the distribution of heat produced out of the nozzle. If the temperature was to get too hot, then it would automatically sense it and cool it down. This helps to protect the hair from an unnecessary hair damage that other dryers may cause. 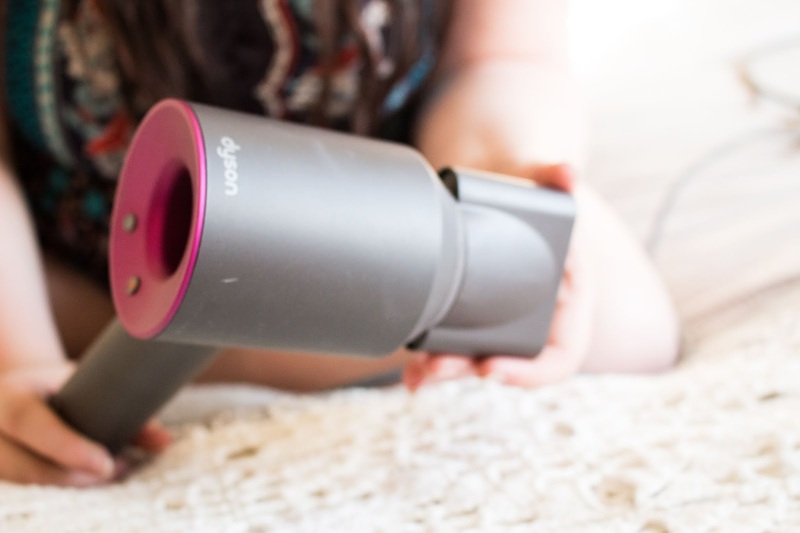 Dyson has said that another key function of this hairdryer is to have a product that will dry your hair in half the time that a normal hairdryer would. In fact this dryer will draw in 13 litres of air per second, but is capable of having an airflow that will blast out of the nozzle at approximately 41 litres per second, meaning that this will dry your hair in the quickest time possible. Really, this hairdryer is perfect and cuts down the time it takes to do my hair. This is also one of the quietest hairdryers that I have ever owned. Of course, it is not completely silent but it is not as loud as some dryers on the market. I love that there are so many settings as it makes drying my hair so much easier - not only does it cut the amount of time I spend drying my hair in half but it also doesn't damage my hair. In fact it leaves a natural shine to my hair and just gives me that salon blow-dry that I have never been able to recreate with any other hairdryer. 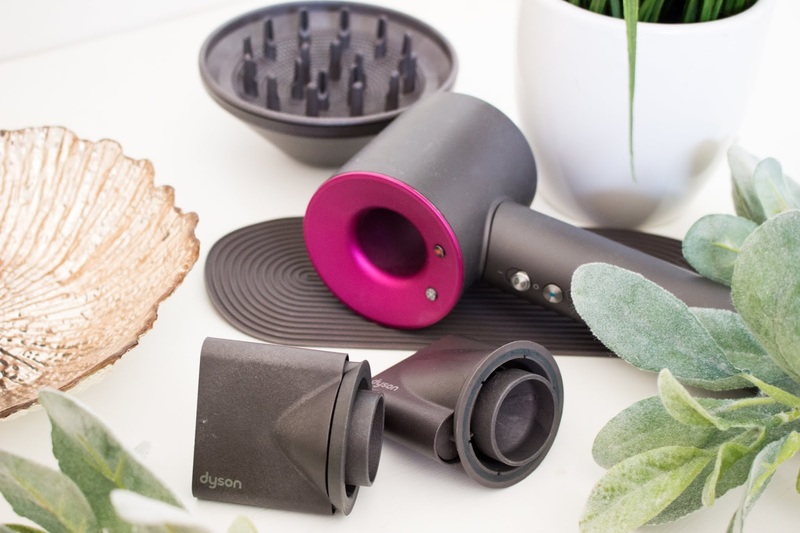 Dyson has stated that you can go from having wet hair to dry hair in a matter of 6-8 minutes (however if you have thicker hair then this will vary). I find that it takes me just under half an hour to fully dry my hair; where in the past it would usually take me over an hour. I feel like I also have more control over how the air and heat is distributed when I am drying my hair. Plus I know that it is not going to be too hot for my hair and end up damaging it in the process. A smoothing nozzle which helps to dry and style the hair at the same time using a much wider nozzle. This helps to create a more sleek and natural finish, therefore it will keep your hair the same as if it was drying naturally, but keeping it looking smooth. When I use this attachment my hair stays slightly curly and natural, but leaves it looking smooth and shiny. 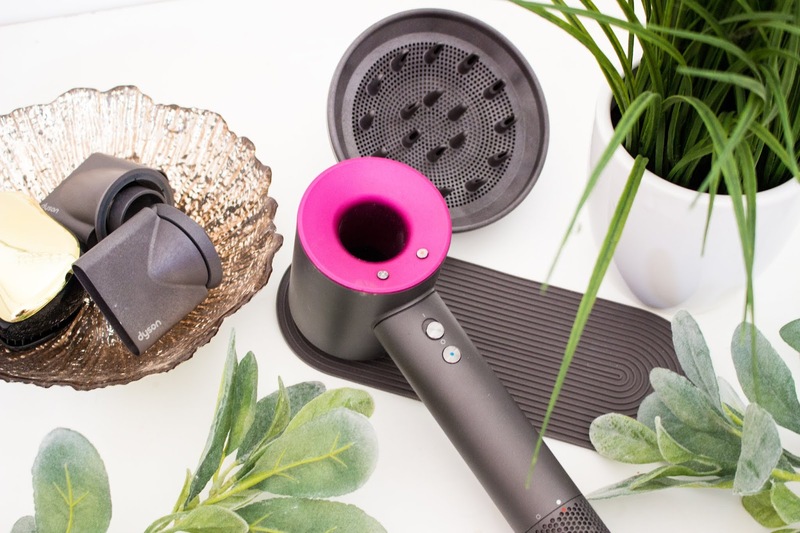 A styling concentrator nozzle which is perfect for styling the hair as the nozzle is much smaller than the smoothing nozzle. This is what I will use once I have used the smoothing nozzle to roughly dry my hair, as I can focus on certain sections of hair to product a beautiful styled look. A diffuser which is perfect for keeping curls looking natural. This is a nozzle that I have not personally used but this is perfect for anyone who has really curly hair as the diffuser helps to reduce the appearance of frizz and leaves your curls looking beautiful, whilst giving more texture to the hair. There is no denying that this device has been a dream product for me to own - not only does it look beautiful and luxurious but it is one of the handiest hair products I own. It really feels like Dyson have put so much effort into the design of this product and they have put a lot of time into research and testing it to make this the best product it possibly can be. This has reduced the amount of time that it takes me to dry my hair; it has gone down from an hour to only 20-30 minutes making it a really handy product if you are always leaving it til the last minute to wash your hair and don't have time to spend an hour drying your hair. I obviously have really long hair so if you have shorter hair than me then the time will be significantly reduced (I know it takes my Mum, who has short hair, only 10-15 minutes to fully dry). I love how light this feels in the hands and it doesn't leave my arm feeling sore. However, for such a small hairdryer it packs a lot of power from that V9 motor. The motor is around 3 times smaller, 6 times faster and a third of the weight of the average hairdryer motor. 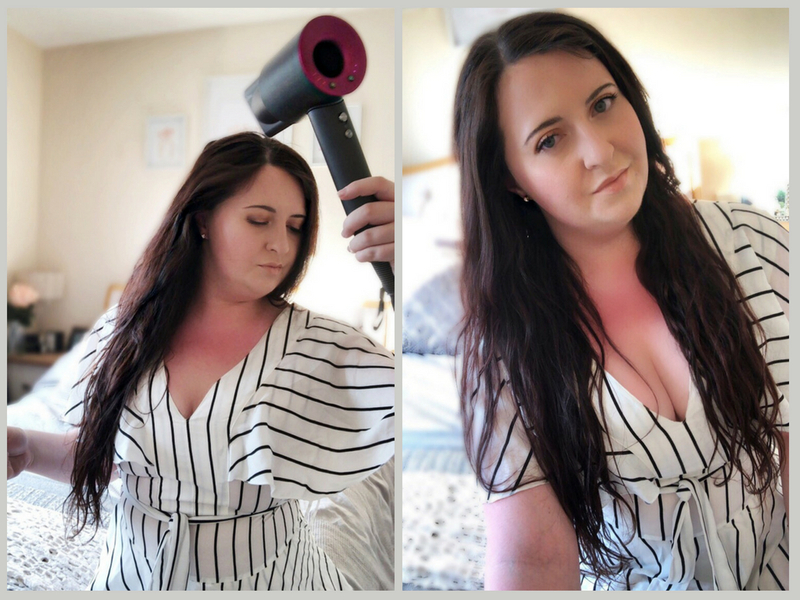 This gives me a salon worthy blow-dry in the comfort of my own home! This is a must in any gadget-lovers wish list. The amount of science that has gone into this product is amazing and it is one of the most innovative products in the hair electronic marker. 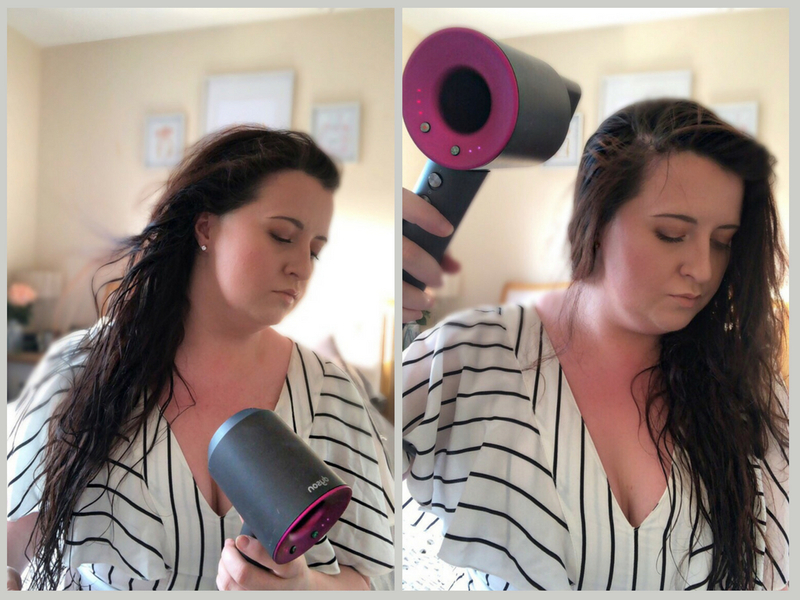 It doesn't make drying my hair feel like a chore and it has just made it so easy to dry my hair now. 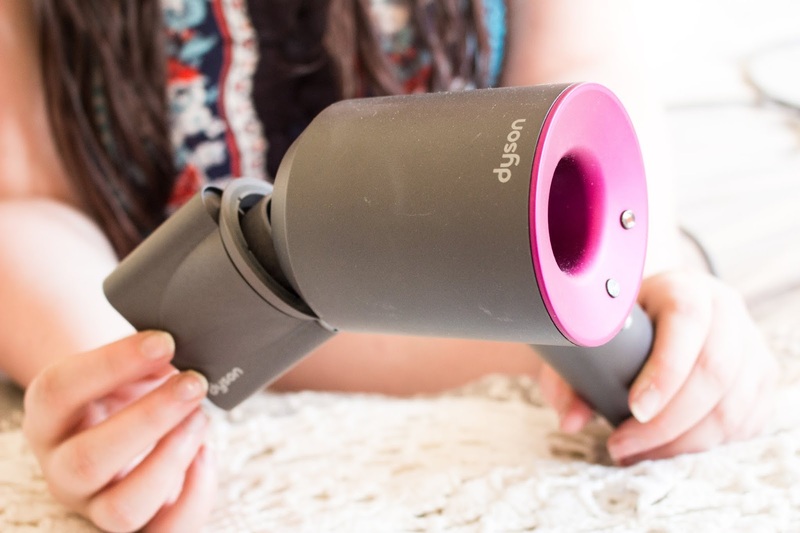 My hair feels so much healthier and I love how easy it is to style my hair with this hairdryer. 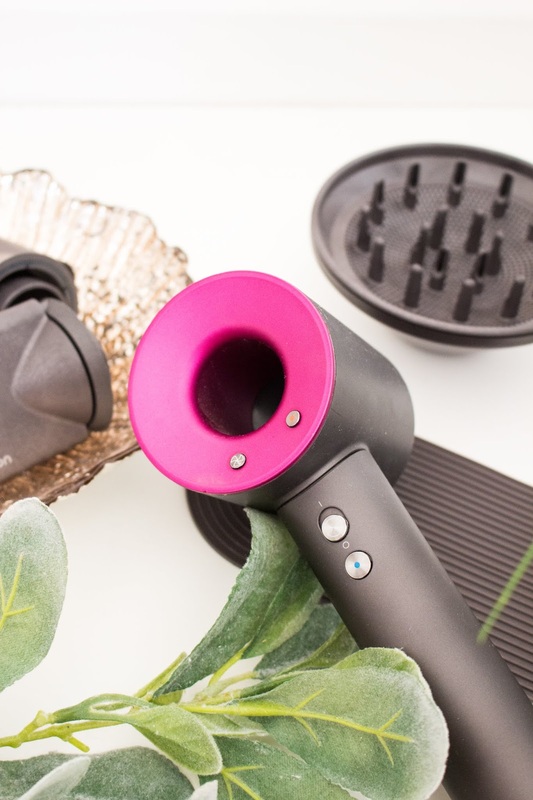 In fact I barely reach for my curling tongs anymore, since I purchased this hairdryer, as I love the natural curls that I am able to achieve with just this hairdryer. So is it worth the £299.99 price tag; 100% yes! I know this is an expensive item but if you can get your hands on this product then I would definitely suggest buying it. I also have an option where you can buy this over the course of 4 months as well! This hairdryer is available for £299.99 from John Lewis and Boots. I know that spending £299.99 on a hairdryer is absurd for more people as that is a huge amount to spend on something (especially when there are bills and rent/mortgage to pay). So QVC have a great alternative. You can purchase this hairdryer for £74.99 per month over the course of 4 months. There is no interest and anyone can take up this easy pay option. This means that this is a lot more affordable as you are spreading the cost over 4 months rather than paying it all out at once. 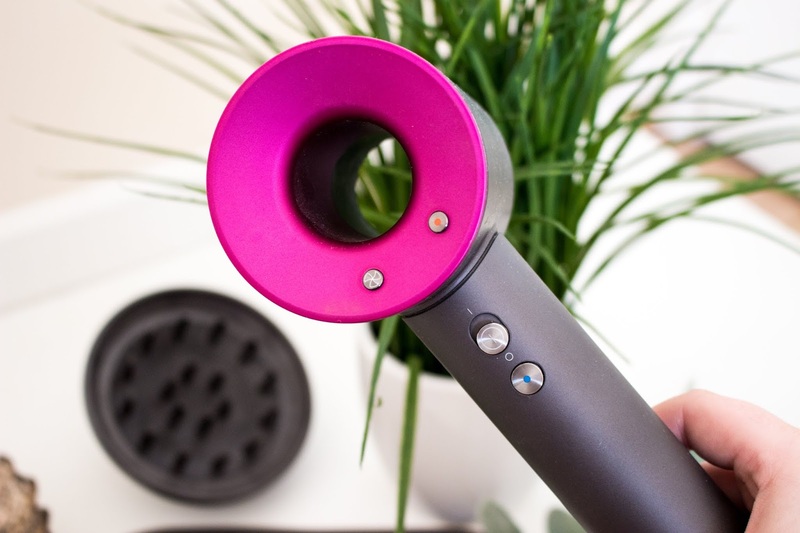 Let me know in the comments if you have tried this hairdryer or have been thinking about buying this hairdryer?What other hair products can you not live without? I love your reviews for the amount of depth you go into. Makes for a really good read! I have been intrigued by this hairdryer ever since it was released. 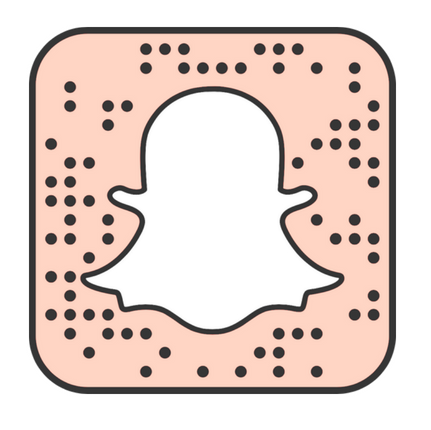 I love that it has so many features for what looks like a fairly simple product. This is definitely on my list for when I want to treat myself. It's one of those things that you need to try for yourself I think!